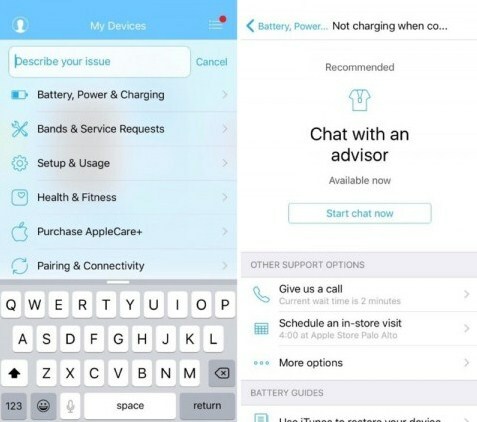 As the resource Sonny Dickson, Apple is developing for iOS application that allows contact support Apple, and will provide troubleshooting tips in the system, as well as proposals to repair the iPhone and other “apple” technique. 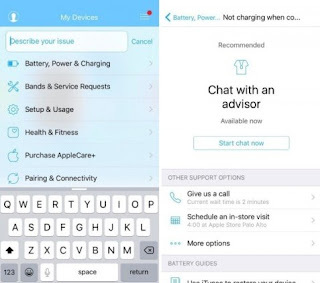 Source even published some screenshots of the application in which you can see, users will be able to learn about solving common problems, or direct contact with an employee of Apple. Also, directly in the program, you can arrange a meeting with the employee support service to an Apple Store near you. The application will be associated with the account your Apple ID and will be able to automatically “pick up” a list of all devices used by people. Because of this, you can go, for example, with the iPhone, to solve the problem associated with the iPad or MacBook, and vice versa. In addition, the app will allow “unload” employees Genius, as users to solve minor problems do not have to go to the Apple Store for a consultation, and those who have serious problems with the device will be able to get help faster.